JACKSONVILLE, Fla., April 11, 2018 /PRNewswire/ -- Johnson & Johnson Vision today announced ACUVUE OASYS® with Transitions® Light Intelligent Technology™ first of its kind contact lens that provides wearers with vision correction and a dynamic photochromic filter that helps to continuously balance the amount of light entering the eye. These contact lenses quickly and seamlessly adjust from clear to dark in response to changing light conditions; reducing exposure to bright light indoors and outdoors, including filtering blue light and blocking UV rays+ ‡. New ACUVUE OASYS® with Transitions® Light Intelligent Technology™ first of its kind contact lenses are the result of a strategic partnership between Johnson & Johnson Vision and Transitions Optical. While ACUVUE® is the world leader in contact lenses, Transitions Optical is the leading provider of photochromic (smart adaptive) lenses world wide. The two companies are working together to research and deliver best-in-class vision care innovations. "This innovation was born out of deep research into consumer lifestyle needs and fits our future-forward approach to caring for human sight," said Dr. Xiao-Yu Song, Global Head of R&D for Johnson & Johnson Vision. 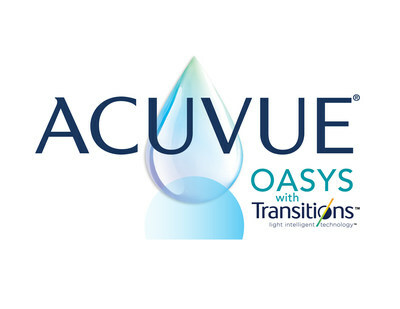 "ACUVUE OASYS® with Transitions® creates and defines an entirely new category of contact lenses that will address unmet needs for patients. After more than a decade of product development and numerous clinical trials involving more than 1,000 patients, we are excited to bring to market a solution to help contact lenses wearers manage the changing light conditions they face every day in their modern, active lives." A range of everyday lighting situations, from artificial light to UV rays, can negatively impact eye comfort, vision and health.1,2,3 Some people compensate for these harsh lighting environments by squinting, shielding their eyes, or dimming lights. ACUVUE OASYS® with Transitions® automatically adapt, helping the human eye manage different types of light and varying intensities of brightness throughout the day. ACUVUE OASYS® with Transitions® has received 510(k) clearance from the U.S. Food and Drug Administration and is indicated for the attenuation of bright light. This regulatory milestone is an important step toward achieving JJV's vision of helping people see better, connect better, and live better. The two-week reusable, spherical contact lens will be marketed by Johnson & Johnson Vision Care, Inc. and will be commercially available in first half of 2019. Important Information for Contact Lens Wearers: ACUVUE® Brand Contact Lenses are only available by prescription for vision correction as a daily wear lens with two-week recommended replacement. An eye care professional will determine whether contact lenses are right for you. Although rare, serious eye problems can develop while wearing contact lenses. To help avoid these problems, follow the wear and replacement schedule and lens care instructions provided by your eye doctor. Do not wear contact lenses if you have an eye infection, or experience eye discomfort, excessive tearing, vision changes, redness or other eye problems. If one of these conditions occurs, remove the lens and contact your eye doctor immediately. For more information on proper wear, care and safety, talk to your eye care professional and ask for a Patient Instruction Guide, call 1-800-843-2020 or visit Acuvue.com. +Helps protect against transmission of harmful UV radiation to the cornea and into the eye. ‡WARNING: UV-absorbing contact lenses are NOT substitutes for protective UV-absorbing eyewear such as UV-absorbing goggles or sunglasses because they do not completely cover the eye and surrounding area. You should continue to use UV-absorbing eyewear as directed. NOTE: Long-term exposure to UV radiation is one of the risk factors associated with cataracts. Exposure is based on a number of factors such as environmental conditions (altitude, geography, cloud cover) and personal factors (extent and nature of outdoor activities). 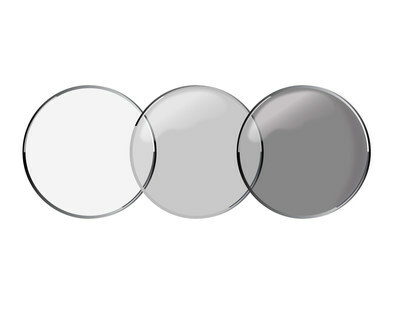 UV-blocking contact lenses help provide protection against harmful UV radiation. However, clinical studies have not been done to demonstrate that wearing UV-blocking contact lenses reduces the risk of developing cataracts or other eye disorders. Consult your eye care practitioner for more information. 3Walls HL, Walls KL, Benke G. Eye Disease Resulting From Increased Use of Fluorescent Lighting as a Climate Change Mitigation Strategy. American Journal of Public Health. 2011;101(12):2222-2225.